A 2015 Harris Poll found that about 47% of Millennials and 36% of Gen Xers have at least one tattoo on their body. Tattoos have been a popular choice of body art for thousands of years and continue to gain mainstream popularity in today’s society. When you see people who have had tattoos for years, decades even, you’ll notice that their ink looks kind of faded. If you have a tattoo, you might even realize that your ink doesn’t look as fresh as it once did. That’s because tattoos, despite being permanent, do fade over time. If you’re wondering why, this article is going to discuss just that. Let’s start off with the science behind tattoos. An artist at a tattoo shop will use a tattoo machine to put the ink on the skin. A tattoo machine moves a needle up and down at a rate of 3,000 times each minute. In doing this, the needle is pushed beneath the skin, or the epidermis. Tattoos become permanent when the tattoo ink is pushed into the skin because they actually cause damage to the dermis, which includes pigment, glands, and collagen. When this damage occurs, it causes inflammation. Specialized cells are then sent to the inflammation area to actually eat the ink to clean up the area. But not all of the ink is taken away by those cells, leaving the visible tattoo remaining. So yes, all tattoos fade over time. However, some can fade more quickly than others. Three main factors that can contribute to how quickly ink fades, including the placement of the tattoo on the body, the ink quality, and how well the tattoo heals. There are areas on the body where tattoos tend to fade more quickly. 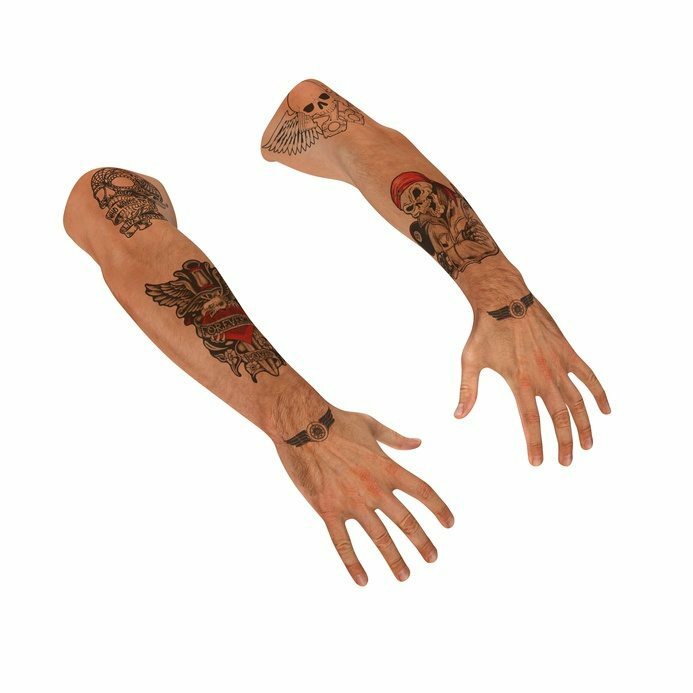 Tattoo art placed on fingers, feet, lips, and areas that rub against other body parts will generally fade quicker than ink on other parts of the body. Tattoo artists will usually warn their clients of the potential fading when they’re looking to get inked in these places. In fact, some tattoo artists now refuse to perform inner lip tattoos because of how quickly they can fade. Additionally, the type and color of ink will contribute to how quickly a tattoo fades as well. If an artist uses a high-quality ink, it will fade slower. However, if they use a low-quality ink, the tattoo may fade quicker. Furthermore, colors like white and other light colors tend to fade quicker than their darker counterparts. And lastly, how well someone cares for their fresh ink will contribute to how quickly their tattoo fades. Because a new tattoo is basically a wound on the body, aftercare is absolutely crucial. If someone does not care for their tattoo properly, it won’t heal right. And in doing this, the tattoo will fade much quicker and won’t look as good as it could have. So it’s important to listen to the aftercare instructions received at the tattoo shop. Overall, it’s important to remember that, yes, tattoos do fade over time. That’s just how the human body works. But if you listen to your tattoo shop’s aftercare instructions and choose the location and color of your ink properly, you’ll be able to enjoy your ink for a very, very long time.